Shimmering Sands Whipped Candle in a glass. 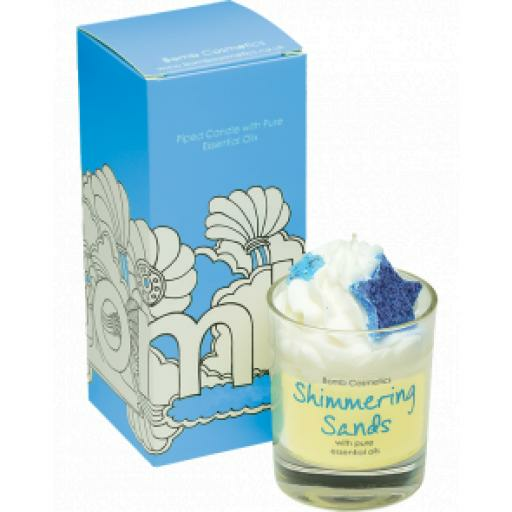 Tropical hints of cocnut with bright beachy ozonic scents meeting the gorgeous heat of sunshine. Sandalwood and clary sage pure essential oils. Burn time of 30 to 35 hours.